In a little more than a month, 34 days actually, South Sudan will formally declare its independence. (July 9, 2011). After years of war, years of waiting, this southern part of the country of Sudan will split off from the North, becoming an independent state. Since February when the results of the largely peaceful vote were counted the work of organizing a new country have moved forward. A national anthem has been selected, a new flag designed, a name discussed. There has even been a study of areas where a new capital, replacing Juba the city that has been the seat of the transitional government, might be established. This has been a time of great hope. Sadly in the midst of the preparations for the arrival of Independence Day fighting between north and south broke out again this time in area of Abeyi. This oil rich area still has the right to chose whether to be part of Sudan (the north) or the new country of South Sudan. But that choice may not be made by a peaceful vote but rather by violence and ultimately some peace settlement. 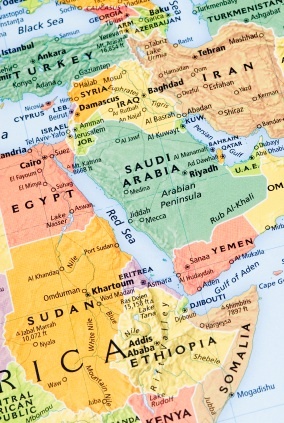 (http://www.voanews.com/learningenglish/home/world/US-Seeks-to-Ease-Tensions-Between-North-South-in-Sudan-123136908.html). It is sad that a new country, yet to have the basic structure in place to serve its people is caught in the midst of a civil war again. At a distance we hear about the fighting. We know it needs to be ended before South Sudan can really be independent, an active participant in global diplomatic and economic activities. What we seldom hear about, or as observers at a distance think about, is all the work, the decisions that must be made to have a country function in our complex systems. Simply stating that you are a country, doesn’t do much. It doesn’t create a postal system (or a world recognized postal code), an identifier for a web address, or an area code for a telephone system. All of this must wait. The key step forward is recognition by The United Nations including being added on the list of the worlds countries that it maintains. This will occur after July 9. And don’t forget, telephone (country codes, area codes) codes allocated by the International Telecommunications Union. Postage stamps must be designed, issued and the Universal Postal Union must recognize their validity so that mail can flow around the world. How will information flow in and out of South Sudan if these are not established and published quickly? (For more refer to How to Start a Nation, Trappings of State: www.economist.com/node/18330465). But phones and the internet are just two of the challenges. How will the airports be identified and how will air traffic controllers engage? Who will issue passports and what will they look like? How will trade agreements be established? There must be a foreign service, diplomats, ambassadors to be appointed. Although this has started there is much to be done. The government must win recognition from most, if not all, of the 190 plus countries that exist today. So many steps, large and small, so many details, decisions to be made. Step by step over the next days, weeks and months South Sudan will move forward, make the choices that will create the newest country whose national day we can celebrate in a month and four days.